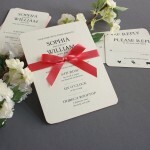 Choose from our high quality William Arthur & Vera Wang Stationery for office or personal use. 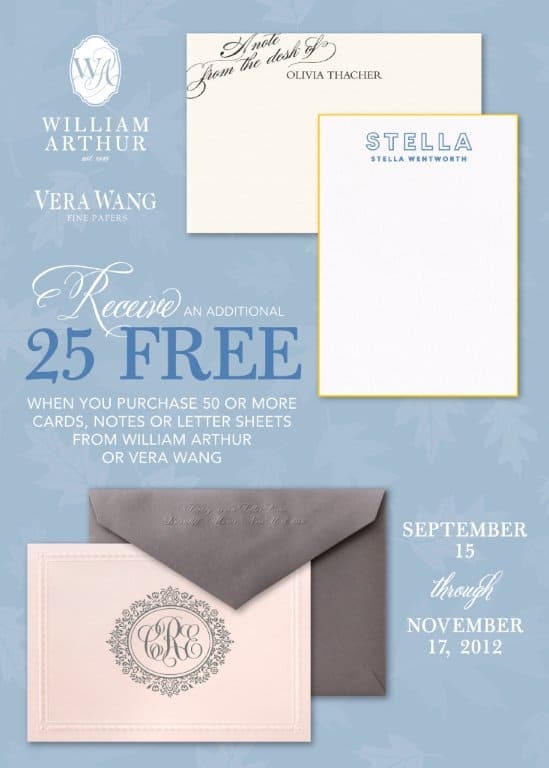 Announcing William Arthur’s Annual 25 FREE Fall Social Stationery Promotion at Hyegraph SF. When you choose 50 0r more cards, notes or letter sheets from William Arthur Social Stationery and Vera Wang Writing Papers receive 25 more FREE additional pieces! Please come in to our San Francisco store to view our Fine Stationery Selections. 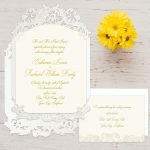 To see more of our stationery selections from William Arthur & Vera Wang please see our William Arthur & Vera Wang Categories. To view all our fine stationery and fine business card selections please stop by our stationery store located at Three Embarcadero Center, San Francisco, California. To see our Website please go to www.hyegraph.com.